The alligator is not only reserved for the manufacture of shoes and handbags. 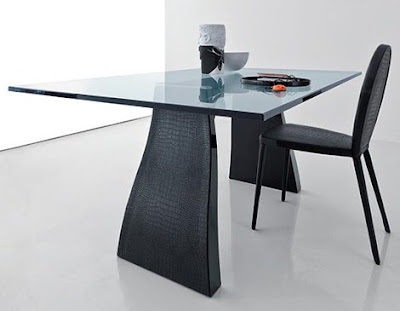 This modern table and chairs imitation crocodile skin Compar personalize your home making it look elegant and exotic. Simple lines and luxurious finish. 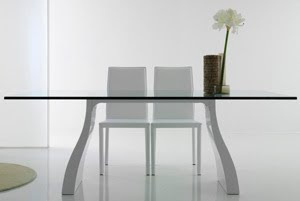 The table is clear glass in a lacquered metal base. Available in black and white.